We’ve uncovered more intel on 160 Imlay Street, the will-they-or-won’t-they Red Hook warehouse conversion. 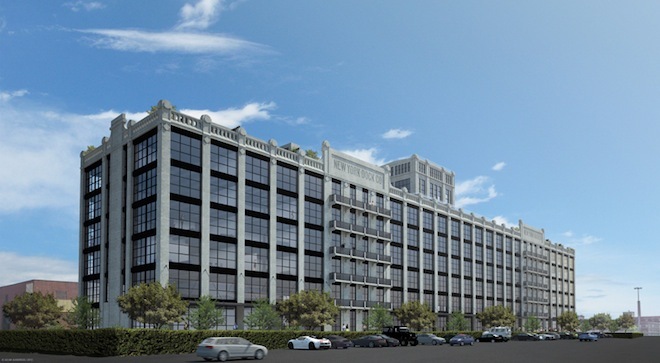 Architects Adjmi & Andreoli are revamping the vacant former warehouse of the New York Dock Company and posted the above exterior rendering to their site. 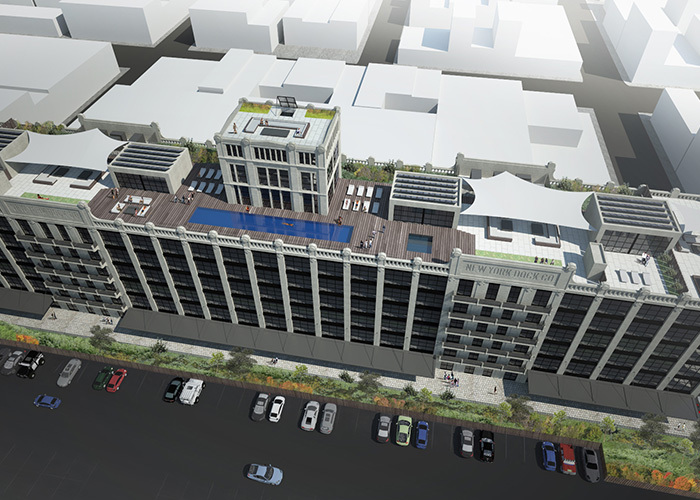 A rep at the Adjmi & Andreoli office told us that there will be 70 residential units at the six-story, mixed-use development. The developer is Est4te Four, according to permits filed with the Department of Buildings on March 28th. Floors one and two will be commercial, while floors three through six will be 134,000 square feet of apartments. The existing concrete warehouse has 12- to 16-foot ceilings and large open windows, which the developer will be taking full advantage of: “Due to the significant ceiling heights of the property, the apartments will be loft-style and high-end for the area,” says the Est4te Four site. Also in the ‘hood, Est4te Four is in the process of transforming an empty, aging warehouse at 202 Coffey Street into a “global hub for creativity, contemporary art galleries, fashion, design and events.” So basically, we’re going from derelict to derelicte.